An inadequate policy framework is preventing banks from cracking down on defaulters. Facing the heat: United Bank of India has declared Kingfi sher Airlines promoter Vijay Mallya a wilful defaulter. In June, United Bank of India (UBI) took Vijay Mallya, the promoter of the grounded Kingfisher Airlines, to task for alleged "diversion" of funds granted by the bank. UBI believed that its overdraft facility to the airline was not being used for the intended purpose. The serious charge should have been enough ground for Mallya, who owed Rs 400 crore to the bank, to come running to the negotiating table. Any diversion of funds immediately triggers RBI's "wilful default" clause. UBI finally became the first bank to declare Mallya and three other directors of the ailing airline wilful defaulters on September 1. There is more trouble awaiting Mallya - he owes over Rs 7,000 crore to 16 other banks. Mallya can be declared a wilful defaulter by these banks on any one of the three grounds: not honouring an obligation despite having the capacity to pay, siphoning off funds and disposing off assets without the knowledge of the bank. This should worry Mallya. A wilful defaulter is not allowed to raise fresh funds from banks and launch new ventures for a period of five years. It can also lead to criminal proceedings. Kingfisher has strongly denied the charge. In a response to a Business Today query, a spokesperson for Mallya said it is not possible for a bank to simply declare anybody a wilful defaulter without following the due process. "The RBI circular is clear in this regard. We have robust and comprehensive answers backed by documentation to challenge any such move," the spokesperson said. The airline, which doesn't even have employees to put together its accounts on time, says that "it is in the process of seeking legal recourse against UBI." Indeed, for the first time, the wilful default clause has opened battle lines between an influential industrialist (and a two- time Member of Parliament) and state-owned banks. Indeed, with a sharp rise in bad loans, banks are increasingly invoking the wilful default guidelines against errant companies. In the last one year, an estimated 300 companies were declared wilful defaulters by over two dozen banks. But the present guidelines lack teeth and there are enough grey areas, say experts. 'The finance ministry is already working on bringing about a law for wilful defaults. 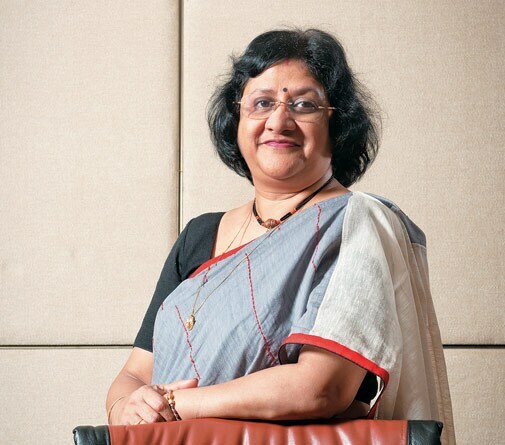 Right now it is more of regulations and not a law,' says Arundhati Bhattacharya Chairperson, State Bank of India. The RBI's wilful default guidelines were framed in 1999. But banks often shy away from declaring a promoter a wilful defaulter as it further complicates the matter. "The declarations of wilful defaults are often challenged in the courts on the ground of procedural lapses and also on the ground that circumstances for such declarations did not exist at all," points out Chakrapani Misra, partner at Khaitan & Company, a legal advisory firm. Surprisingly, the banks act in a consortium while lending and also at the time of restructuring a stressed asset. But they go their own way if restructuring fails or a company defaults. "Ultimately, what we need is fast- track courts to take these cases to closure. It is unfair to the banking system, if the fraudulent borrowers are allowed (to go scot-free)," says Shikha Sharma, MD & CEO at Axis Bank. Also, the number of directors declared as defaulter in a single company varies among banks. Consider the example of Zoom Developers. The Delhi-based Punjab National Bank, which has the highest exposure of Rs 410 crore to Zoom, has declared only three directors as wilful defaulters, while the other dozen banks have taken action against three to six directors. "The banks should be careful. There could be defamation cases coming up against the banks," advises Zulfiqar Shivji, head (transaction advisory) at BDO India LLP, a business advisory firm. The RBI's circular has not specified the number of directors to be held accountable. Recently, a Gujarat High Court judgment questioned the logic of declaring all the directors as wilful defaulters since independent directors are not involved in the day-to-day functioning of the company. "It is important that the action on wilful defaulters is done with due process to avoid cases as it is an extreme step, and banks need to ensure that they have evidence to support wilfulness before taking the drastic step," says Vidya Rajarao, Partner (forensic services) at Grant Thornton India, an assurance and tax advisory firm. Meanwhile, the finance ministry is already working on bringing about a law for wilful defaults. "Right now it is more of regulations and not a law. They (finance ministry) are now working on it," says Arundhati Bhattacharya, Chairperson of SBI. The current guidelines are actually advisory in nature and open to interpretation, while a concrete law would make it difficult to challenge in the courts. 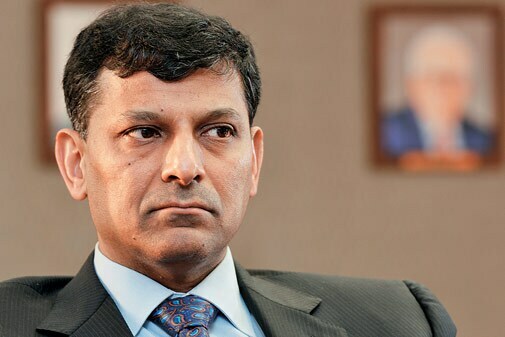 RBI Governor Raghuram Rajan gave a warning to rogue promoters on his first day in office. "Promoters do not have a divine right to stay in charge regardless of how badly they mismanage an enterprise, nor do they have the right to use the banking system to recapitalise their failed ventures," he asserted. RBI is now closely working with the Securities and Exchange Board of India (Sebi) to debar wilful defaulters from raising money from the public. In fact, Rajan has already added another clause to the guidelines in September - it has allowed banks to initiate action against the guarantors of a loan (mostly group companies) in case of a wilful default. However, this new guideline is applicable prospectively and won't be applicable to hundreds of wilful defaulters like Mallya. The concept of wilful default is not widely used globally. There is a robust legal framework in place to deal with stressed assets in the US and Europe. "The banks also rigorously monitor borrowers' account on a monthly basis in terms of liquidity ratio, leverage ratio, interest coverage, net-worth, etc," says Nikhil Shah, Senior Director at Alvarez & Marsal, a firm which works very closely with leading banks, such as SBI, in turning around stressed assets. In addition, the onus is put on borrowers to declare that they are unable to meet their obligations. The US has Chapter 11 (restructuring of business) and Chapter 7 (liquidation) regulations to deal with wilful defaulters. "The directors on the board of the US and most European companies are not personally liable," adds Shah. Globally, there are also very effective whistle-blower policies. "The directors are duty-bound to tell the board," says Shivji of BDO India LLP, a financial advisory firm. Wilful defaults can be prevented by identifying the stressed assets early, say experts. In fact , the solutions lies with the banks only. 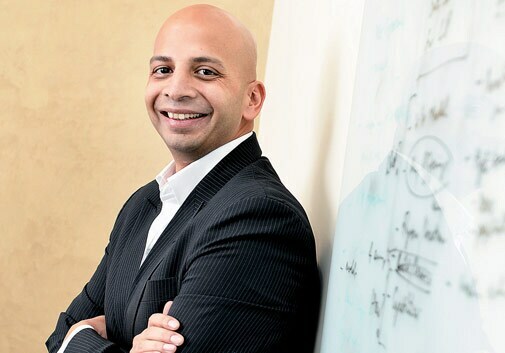 "Recovery of money can only occur if banks are diligent and assess credit worthiness, veracity of borrowers and proper title to assets prior to lending," says Rajarao of Grant Thornton. In fact, the banks should proactively monitor the funds lent to borrowers. Shivji of BDO India suggests external due diligence to track the deployment of funds when banks do large funding. "It would certainly reduce significant amount of default cases," says Shivji. Meanwhile, the RBI and the government are also doing their bit to address this issue. Rajan recently introduced a special category of stressed assets where principal or interest is overdue for more than 60 days. If no agreement is reached to form a joint lenders forum for such assets, the banks have to make higher provisions from 60 days onwards. The RBI has also set up a central repository for information on large borrowers from banks. This will help lending banks get all the credit information (fund utilisation, credit limits, default if any) at one place. Meantime, the government is also considering amending the Securitisation and Reconstruction of Financial Assets and Enforcement of Security Interest (SARFAESI) Act, 2002. Currently, SARFAESI Act allows banks to recover NPAs without knocking on the doors of the courts. The amendment will allow banks to take charge of companies to change the management to restructure, run or sell the company. The auditors and independent directors generally get away without any penal action or taking any responsibility. 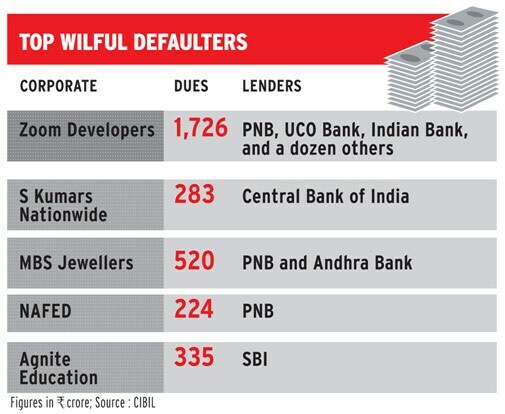 The Companies Act is silent on wilful defaults. The role of independent directors should be put under the scanner, say experts. "They are equally liable under the current guidelines, but not for any criminal proceedings because they are not in charge of day-to-day affairs," says Vaidyanathan. Last year, former SEBI Chairman M. Damodaran left the Mumbai- based S. Kumars Nationwide as independent director months before its promoter Nitin Kasliwal was named and shamed by a leading bank in a newspaper notice for defaulting on loans. His departure was immediately followed by nearly half a dozen other directors in the company. "It is a more salient way of saying that there is a problem in the company," says a corporate lawyer. Independent directors who fail to blow the whistle on a defaulting company should be debarred from becoming directors in other companies, he adds. Most of the time, action taken by banks is too late, too little. In fact, forensic audit should be conducted on a large account if there is a default. It is an examination of a company's financial information for use as evidence in court. The banks today conduct a forensic audit as a last resort to nail the promoters. Canara Bank, for instance, conducted a forensic audit on Hyderabad-based Deccan Chronicle Holdings after it declared the promoters wilful defaulters. "Today, forensic audit is more or less mandatory in case of restructuring of a stressed asset. The banks should look at periodically monitoring the end use of funds loaned as part of the overall monitoring mechanism," says K.V. Karthik, Senior Director at Deloitte India. The wilful default tag for promoters is not a mechanism by which lenders will recover their dues unless a guarantee has been provided by a group company, according to Shah of Alvarez & Marsal. "It's a tactic to bring the defaulter to the negotiating table." But the bigger issue is of reckless lending by banks. The sudden aggressiveness of bankers in naming and shaming defaulters is amusing many corporate lawyers. A Mumbai-based lawyer says the banks used to soft-peddle wilful default cases some two-three years ago. "A reason for the sudden aggressiveness could be the migration of NPA recognition from the earlier manual reporting process to an IT-based system. Today bankers just cannot hide NPAs," he says. Then, the government and the RBI are also investigating banks for mounting NPAs. RBI Governor Rajan in a recent FICCI seminar once again tutored bankers on the simple principles of lending. At a gathering of top CEOs of PSU and private banks, Rajan said lenders should structure loan with genuine equity from promoters, recognise diversion of funds early to take quick coordinated action and shouldn't outsource project evaluation. Now, if only bankers had followed these simple rules while lending to Mallya's Kingfisher Airlines and hundreds of other defaulters.